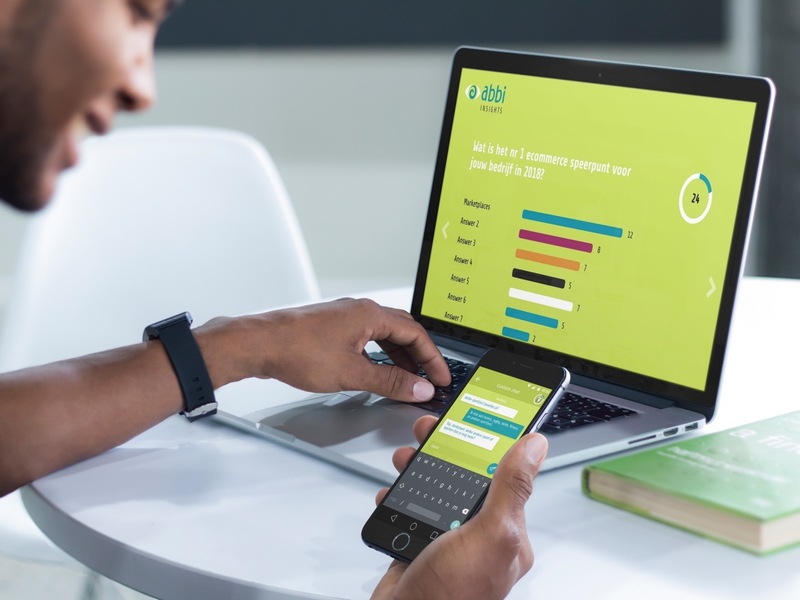 By making use of all the possibilities that mobile technology has to offer, abbi activates and strengthens the connection with customers and target groups on the basis of real-time data collection that is directly processed into valuable insights. Which sport(s) do you practice? I play tennis, rugby, skiing, fitness and other sport(s). Awesome, thanks! Which other sport(s) are you practicing? I also play indoor football. abbi does this by using permission based mobile solutions such as geofencing to determine location-specific behavior of specific target groups. The 'why' behind this behavior is identified with location-based chats when specific behavior is observed or reported. These chats are triggered by push messages that ensure a sustained high response rate. This means no more boring, long poorly timed questionnaires, dismal response rates and long fieldwork times. With abbi chat research you always have instant access to the desired insights of your target group. Fast, simple and up-to-date. With the consent of the respondents, abbi signals where people are located (location recognition based on geofences). This makes it possible to trigger chat questions to get behind the reasons why, just at the right place, at the right moment. Short chats are template-driven but the respondent will always feel like they are chatting with a real person rather than undertaking a monotonous survey. abbi makes the chat flow more interactive and dynamic by for example, adding different types of question, (open / closed), placement of sliders, uploading photos/videos and offering swiping preferences. This way you can maneuver through the conversation and get the best insights. Chat surveys can be activated in different ways. This can be done via e-mail, but much more effective is hybrid messaging. abbi determines whether or not respondents have blocked push notifications. If this is the case, they will receive an SMS instead of a push message, which guarantees that the respondent is actually reached. This way, abbi delivers higher response rates and a better data quality compared to conventional research methods. All information provided by respondents to abbi or its clients is collected with the explicit consent of the respondents. abbi communicates clearly, transparently and with the utmost integrity. Respondents are clearly informed about their privacy rights. Interested in mobile behavioral and chat-based research? Want to experience our chat solution? © 2018 abbi insights b.v.